Update, 12:02 p.m.: Please help to maintain smooth rail service by using the entire platform for boarding. Remember to load your TAP card in advance to avoid long lines. Use Temple Street to enter Civic Center/Grand Park Station. 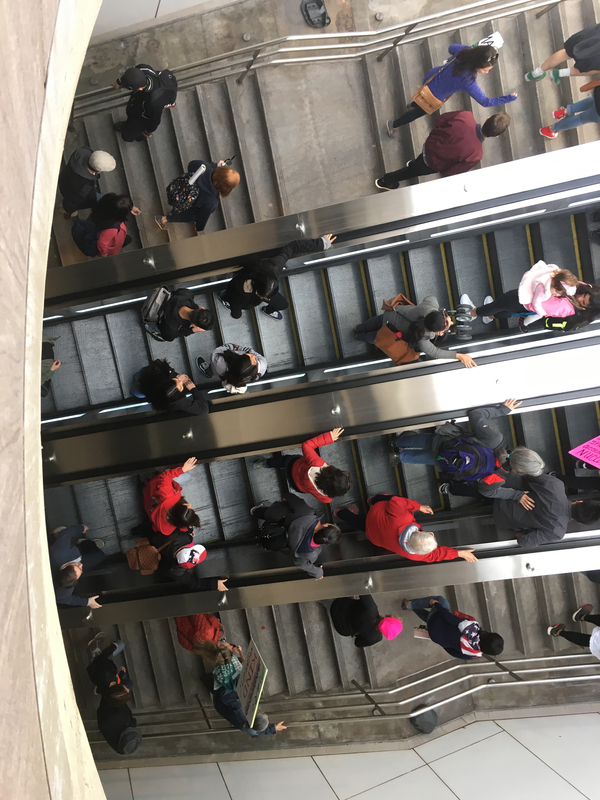 Update, 8:53 a.m.: Due to crowds gathering at 5th and Hill, customers are being asked to please exit Pershing Square Station using 4th and Hill portals. Rail service remains smooth while crowds continue to grow. 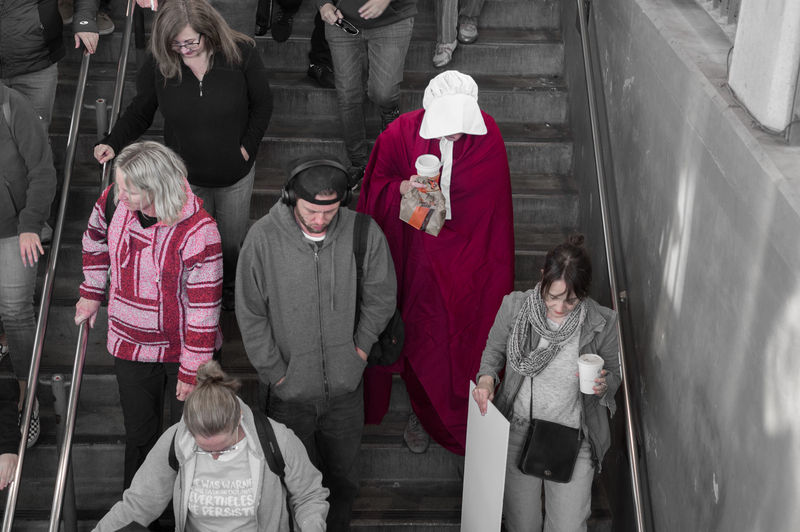 Update, 7:55 a.m.: We’re starting to see healthy crowds this morning, especially on Gold and Red Line. Consider loading roundtrip fare $3.50 in stored value before starting your trip and use the entire platform to board. Saturday, 5:55 a.m.: Good morning, everyone! We’ll be updating this post throughout the day. 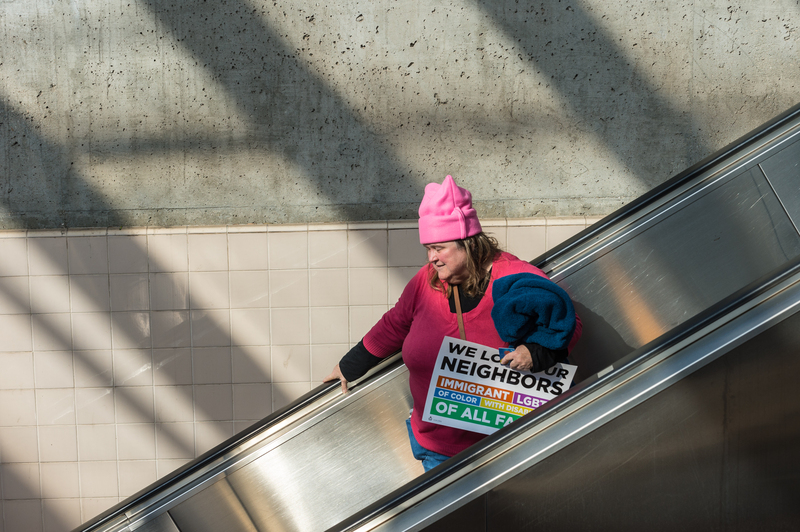 Metro is running enhanced rail service today to help everyone get to and from the Women’s March. Please scroll down for more info. You can also follow Metro throughout the day on Twitter (for quick service updates) and Instagram (for pics and stories). We’re at @metrolosangeles on Snapchat, too. 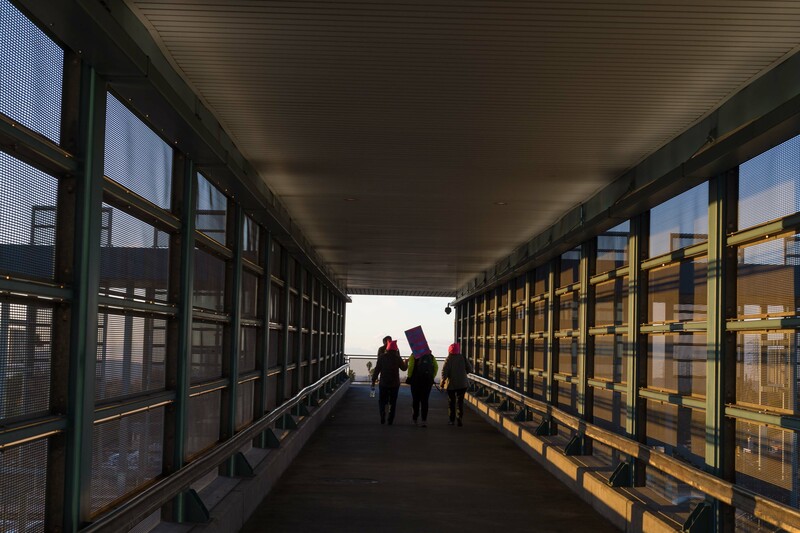 If you’re headed out today, we encourage you to bundle up and leave early as parking at Metro stations will likely fill up as the morning progresses. Also, as the map below shows, a healthy slice of downtown L.A. will have street closures. 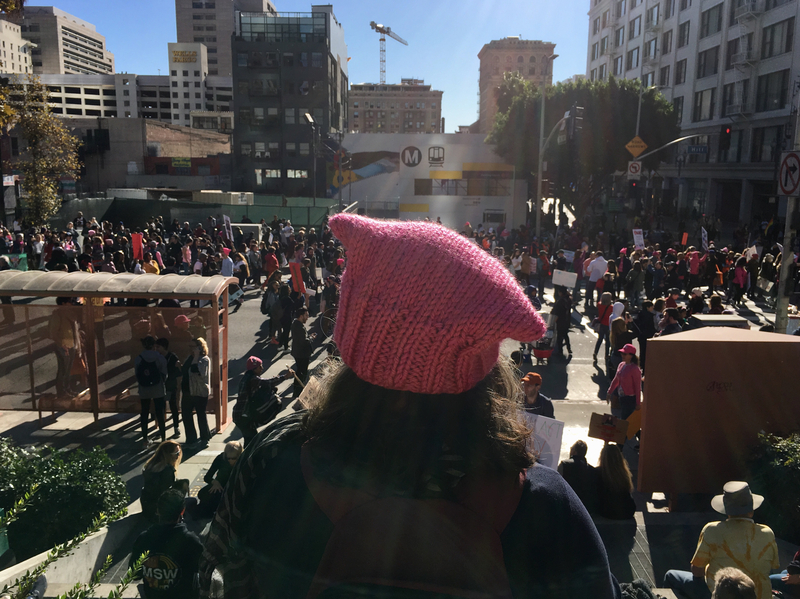 Last year we saw a MAJOR turnout for the Women’s March with a crowd of nearly 750,000 attendees walking the streets of downtown Los Angeles. 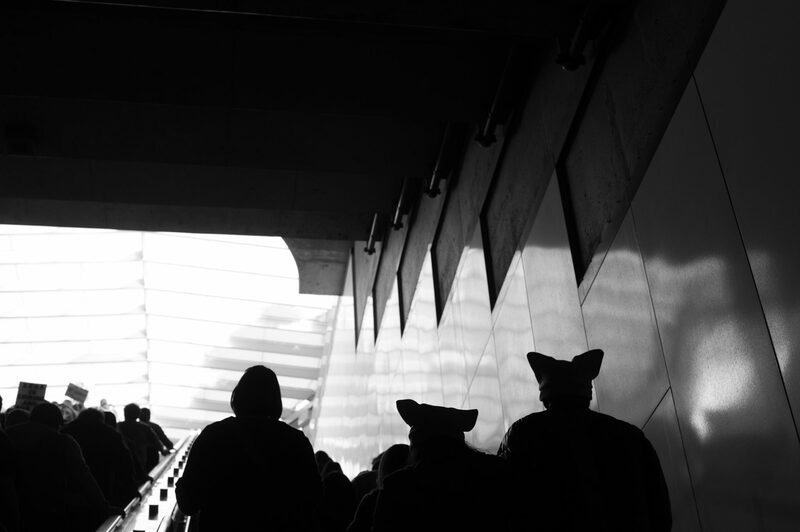 The Metro system also had its largest day ever. Gold Line trains will run every 7 minutes between APU/Citrus College and Little Tokyo/Arts District stations. If you were one of those attendees last year, you may recall the extremely long lines at TAP vending machines. You can bypass that by buying and loading your TAP card ahead of time. 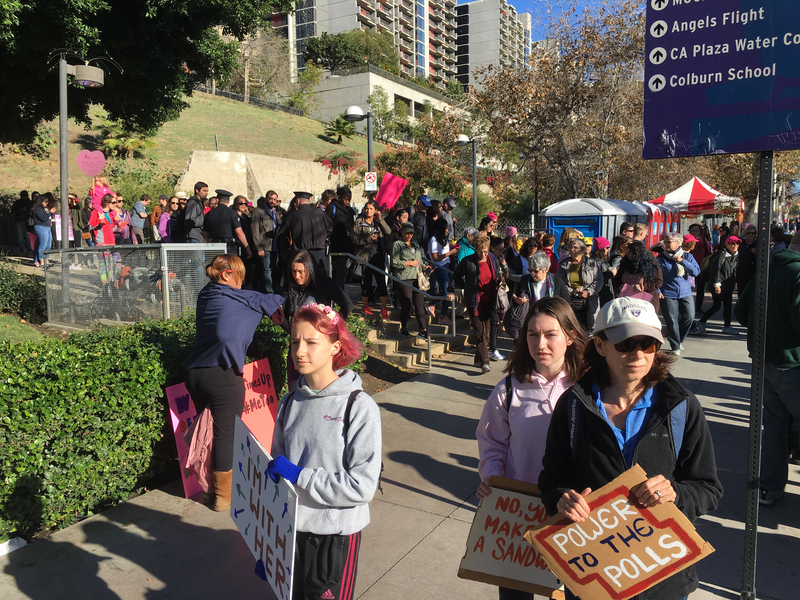 •As the march takes place, DTLA buses will be in service but will be on detour due to street closures. 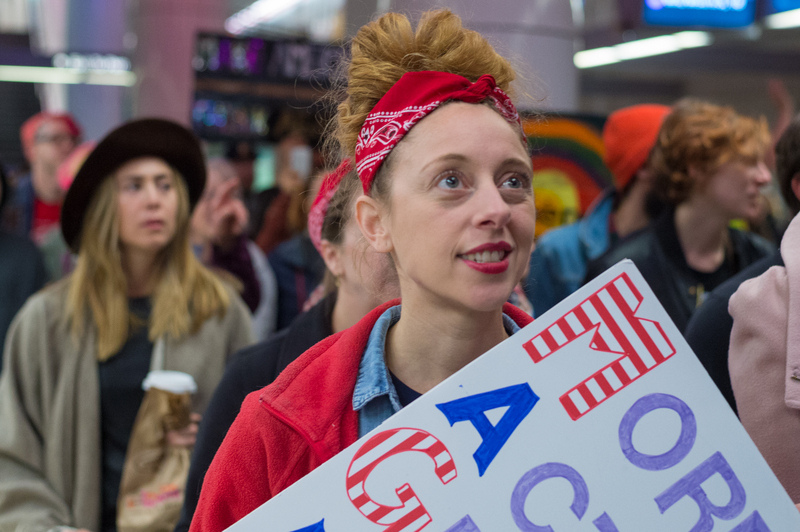 If you are traveling by bus, Metro lines 2, 4, 10, 18, 28, 55, 62, 81, 83, 90 and 94 will bring you as close as possible to the march’s starting point. We will provide live updates on service detours and park and ride availability on Twitter at @metroLAalerts and @metrolosangeles. •If you’re coming in from further away, Metrolink may be an option. Metrolink will be running additional train service to Union Station in DTLA on the Antelope Valley, San Bernardino and Ventura County lines. From there, you can use your TAP-enabled Metrolink ticket to transfer for free to the Red/Purple Line to reach your destination. Please check Metrolink’s website for details on schedules. 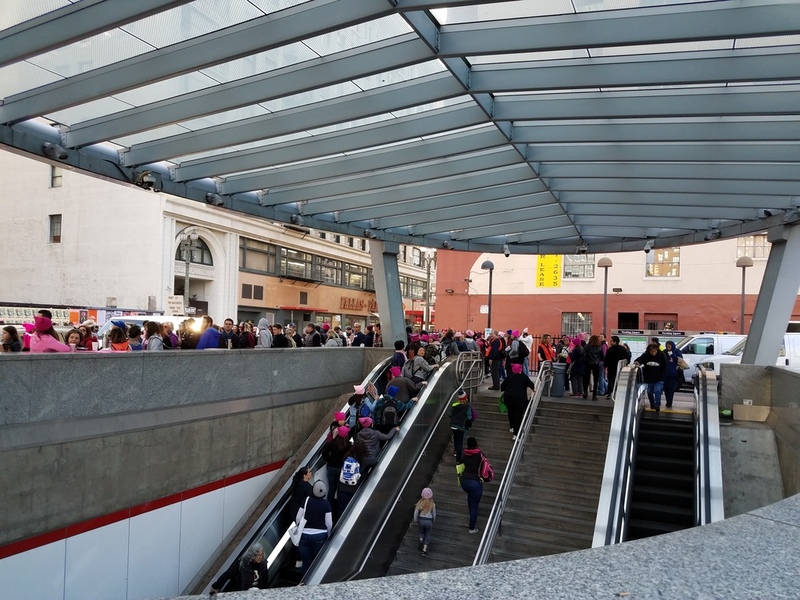 •To keep passenger flow moving at Civic Center/Grand Park Station: the Temple Street portal will be ENTER ONLY. The 1st/Hill portal will be EXIT ONLY. ADA customers/strollers may use the elevator at Temple Street in both directions. 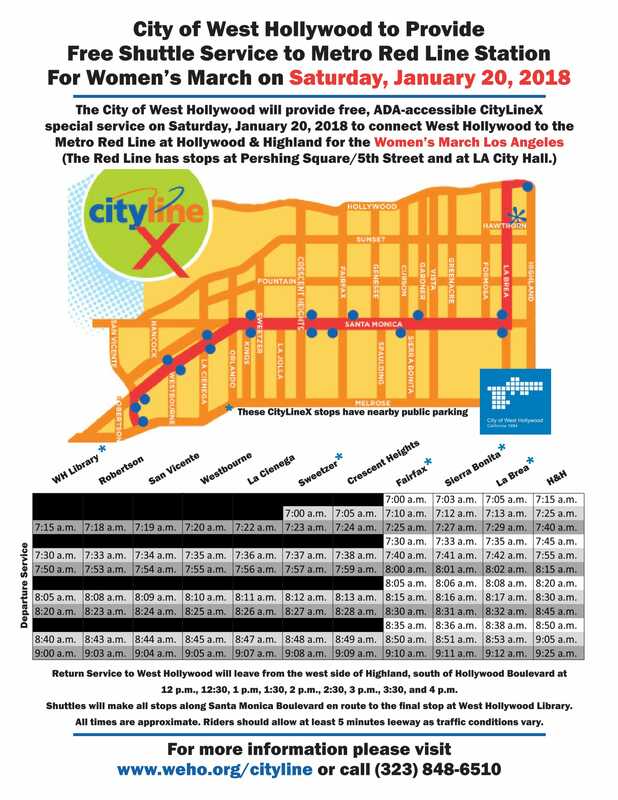 •The city of West Hollywood is running free shuttles to the Red Line’s Hollywood/Highland Station from 7 a.m. to 4 p.m. — see the map below for routes and stops. Click on map to see larger. 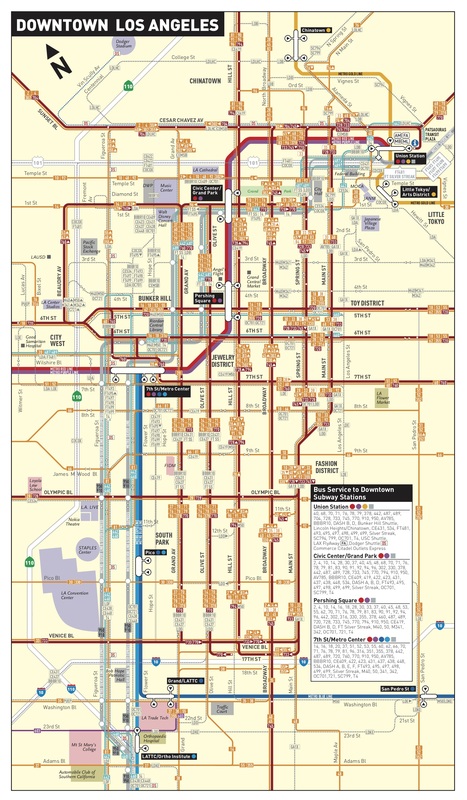 Please always remember to include information about the Silver Line (#910 and 950) as well, which uses the express lanes of the Harbor and San Bernardino Freeways to travel to/from DTLA and the South Bay and El Monte. 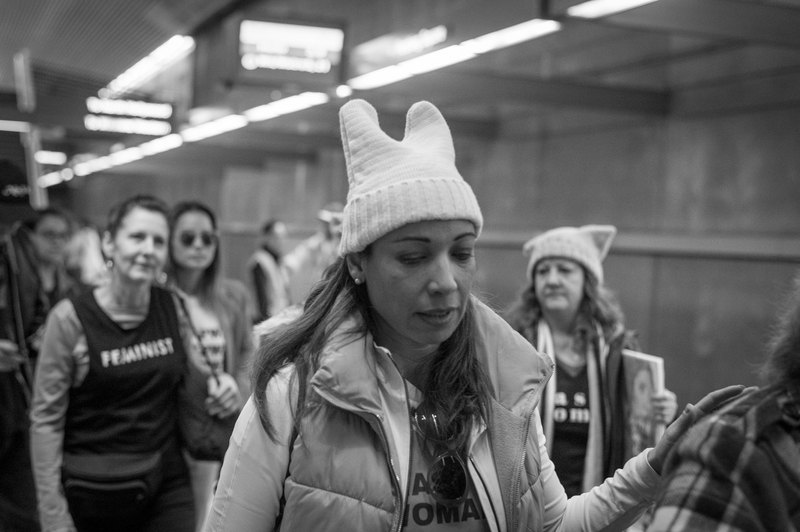 In particular, it would be helpful to know how the Silver Line buses will be re-routed through Downtown LA because of the street closures for the Women’s March. As of today, Metro has no service advisories regarding the Silver Line and the Women’s March. I suggest using the bus instead of light rail. 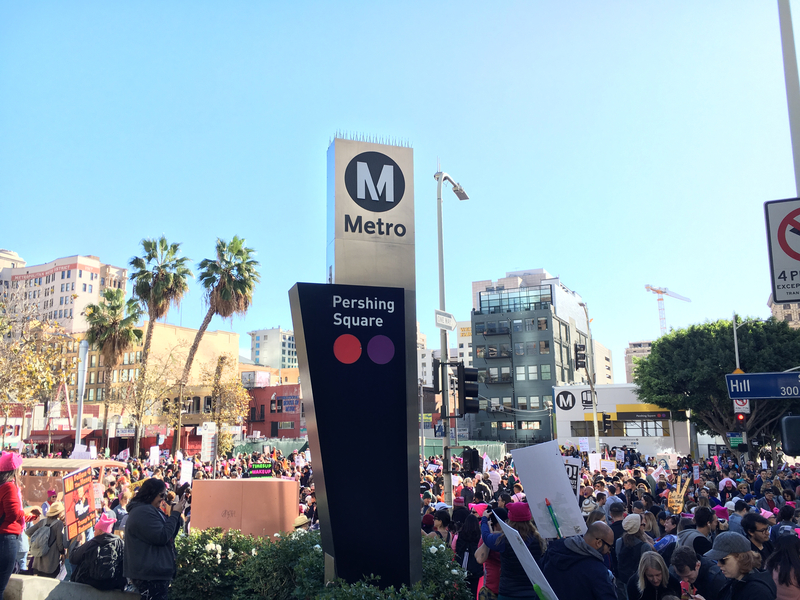 I took the 733 from Mar Vista for last year’s march and heard stories about marchers heading west on Expo first before going east since it was so packed. I will take about an hour from Venice and it feels like the bus is trying to hit every pot hole on the street, but it will drop you off two blocks from Pershing Square. 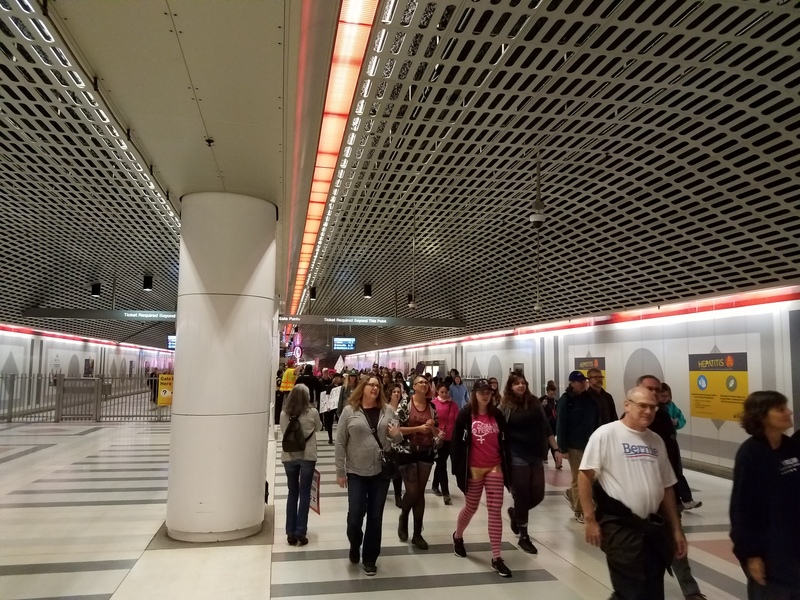 Please add more cars to the Expo line. 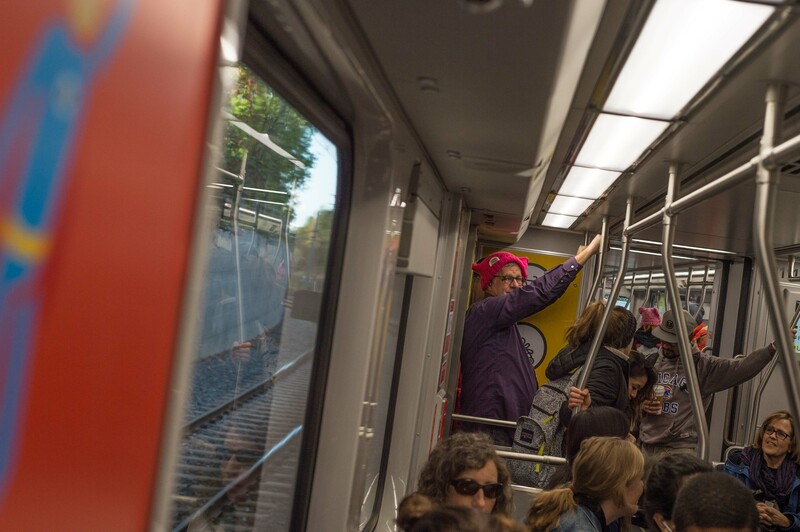 Last year going to event we could not board at La Cienega or stations east of there as cars were already full. maybe express lines that skip a few stops or remain empty till La Cienega? It was crowded across the rail system last year but we’re going to run more service earlier this time around. There is no express service or limited service planned. My best advice is arrive early and have a TAP card loaded with fare so you don’t have to wait for TAP machines. 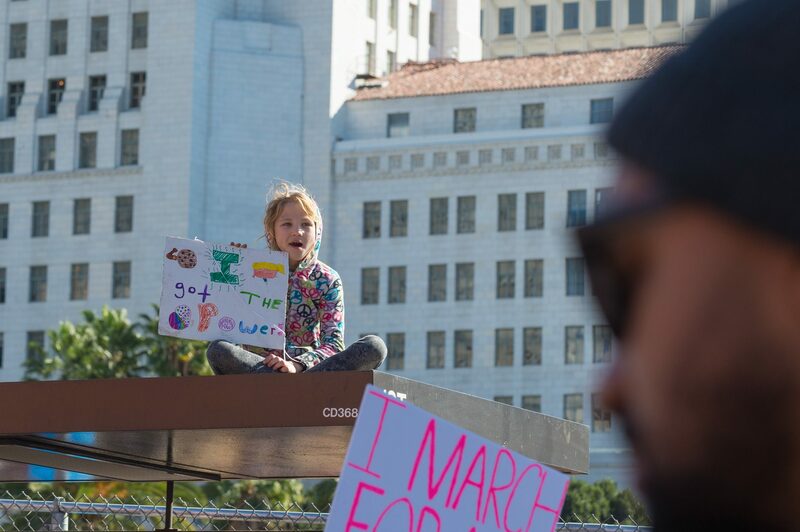 There’s plenty to do in DTLA before the march begins and sounds like the weather will be nice. I believe during regular weekend service the trains come every 15 minutes. How about longer trains every 8-10 mins? Granted last year trains could run every 2 mins and still not meet demand, just having longer trains this year-even with potentially a much smaller crowd-just isn’t enough! More frequent trains would also help. 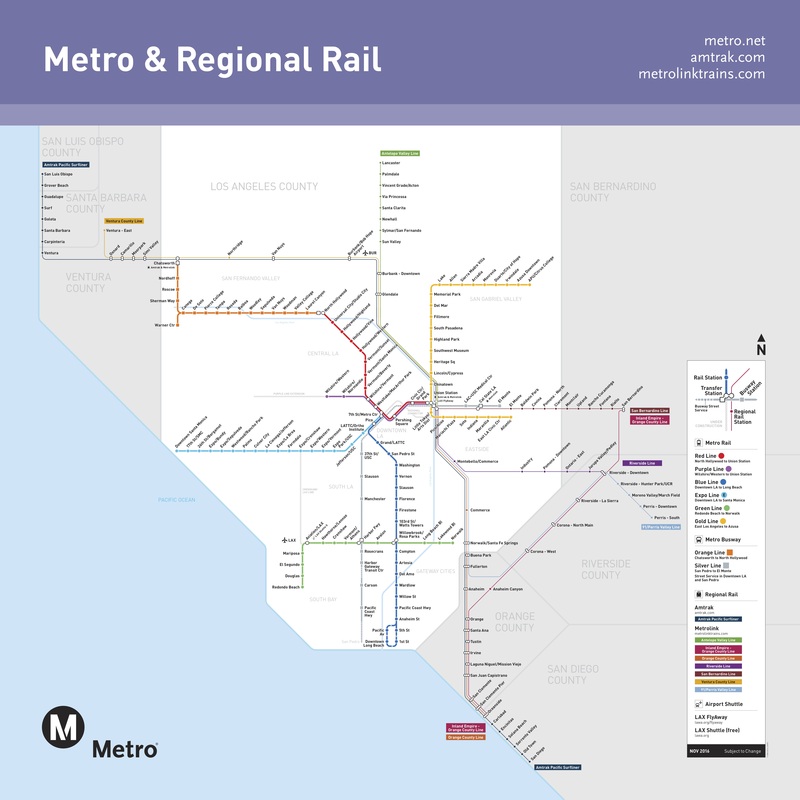 Along with longer trains, trains will be running enhanced service with Blue, Expo and Red lines running every 6 minutes, Gold Line every 7 minutes, and Purple and Green lines running every 12 minutes. Line – which normally does not run on the weekends? Hi, that information is included in this post. 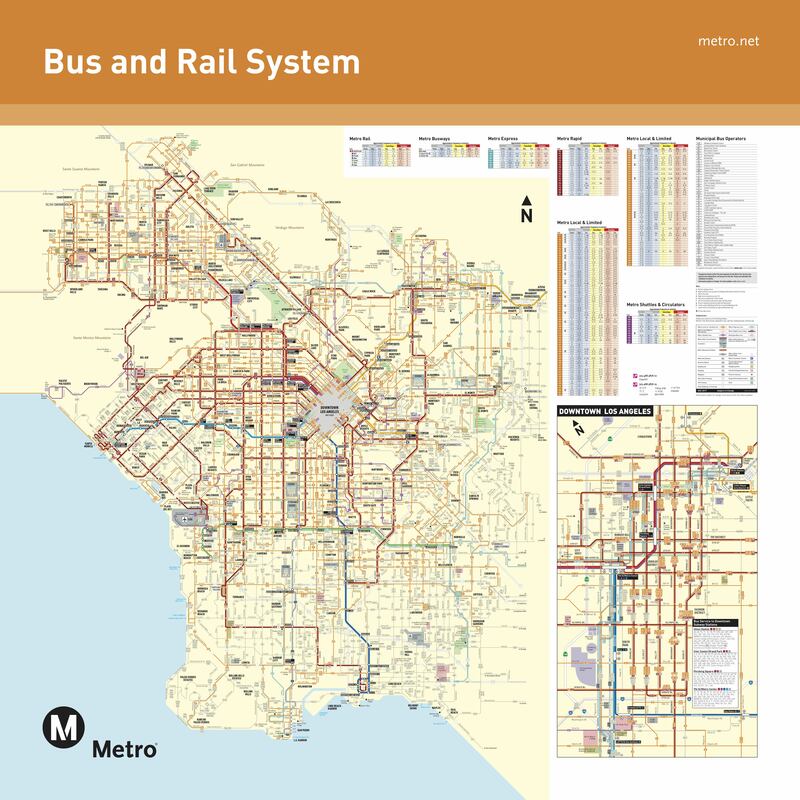 While the scale may be a lot less, but I suggest Metro to also remind riders about the bus detours on Sunday 1/21 for the Pasadena Half Marathon. The blue line on 1st and Pine in Long Beach have been worked on lately, will it be up and running tomorrow or will there be a bus detour again? Metro did an excellent job this year. Seemed well organized, prepared, and helpful. Thanks Metro crew! It was nice to see Metro running on all cylinders!